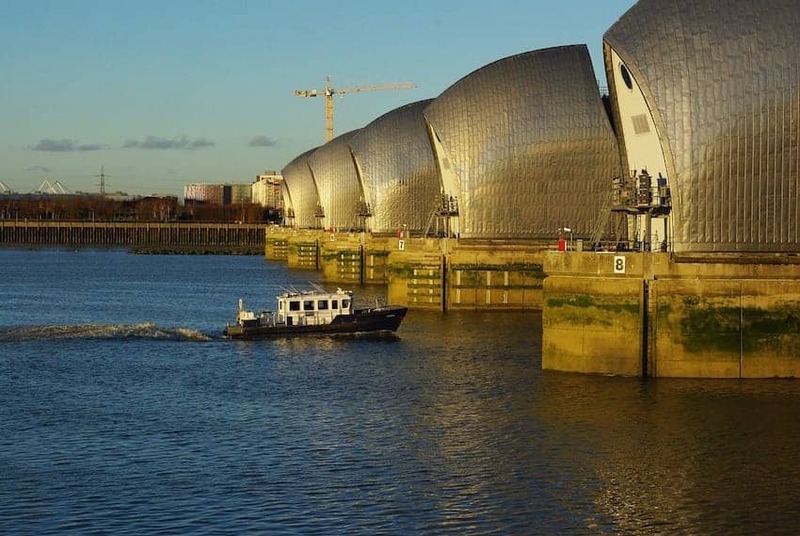 The Thames Barrier is London's 520 metre wide flood defence barrier, protecting 48 square miles of the city from storm surges and rainfall swelling. With 10 separate movable steel gates, standing 20 metres tall, the upper part of the river can be sealed from the sea so stopping water from flowing upstream towards the capital. Without it London's defence walls would need to be considerably higher!